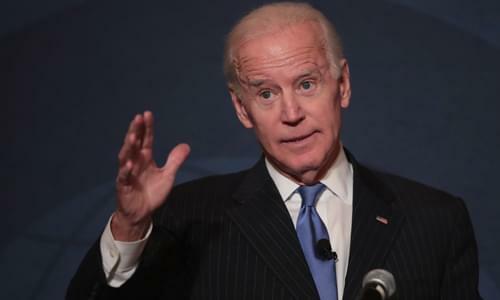 On Friday’s Mark Levin Show, The Washington Examiner reports that former Vice President Joe Biden embraced segregation in 1975, claiming it was a matter of ‘black pride’. When asked if he was a racist he said, “he had asked “the blacks on my staff” whether he harbored something “in me that’s deep-seated that I don’t know.” He also continued that a homogeneous society or de-segregation was bad for the African American identity. This seems like an attempt to have it both ways pandering to both blacks and whites during a time where race riots were looming. America today has more diversity today than ever before, yet Biden seems to suggest that an integrated society might somehow be bad. Similar to Biden is VA Governor Ralph Northam’s new problem of a photo of him in his yearbook posing as either a KKK member or with his face painted in black face. Later, Rep. Ilhan Omar believes in a 70—90% tax, in particular on corporations and wealthy individuals suggesting that business be forced to share their profits with their workers. While gutting the defense budget to enhance education under the pretext of the rich people paying their fair share when they in fact pay the majority of all taxes. She cites the influence of money in our politics as severe, despite just winning an election where her party outspent all other candidates. Also, Sen. Bernie Sander is proposing a massive 45% —77% inheritance tax on farmers, small business, owners, and the like. Imagine Medicare for all, universal basic income for all, free college for all, with no border security; such policies would strangle our economy, destroy our country, and our culture of hard work. Blackface, Klansman photos found on Gov Ralph Northam’s yearbook page!